Fight hordes of monsters or fight other players in Dungeon Fighter Online. Nexon America announced it will officially launch the action-adventure, multiplayer online game on June 9th, 2010, offering to a North American audience the amazing experience already enjoyed by more than 200 million Dungeon Fighters worldwide. Developed by Nexon’s Neople studio, Dungeon Fighter Online is a 2D, side-scrolling action game, in which players fight their way through dungeons, either on their own or in a party with up to three other players. Advanced players can also take part in intense player-versus-player competition, where each opponent can mean a wholly unique fighting challenge. With the official launch, beta players will be able to keep their beta characters intact, while new players will be able to create new incredible characters. But both will be able to enjoy the excitement of creating a Female Gunner, the game’s newest character class, which joins the Fighter, Gunner, Mage, Priest and Slayer currently available. The Female Gunner may have less HP than her male counterpart, but she moves faster. She can also advance into the same four subclasses as the Male Gunner— Launcher, Mechanic, Ranger and Spitfire—but for each, the Female Gunner has access to specialized skills unavailable in the game before. Players can choose one of these four subclasses once they’ve reached level 18 and completed a series of subclass quests. While Nexon America prepares for Dungeon Fighter Online’s official launch on June 9, it continues to offer its open beta service of the game, where players will be able to engage in an event that ties in directly with the arrival of the Female Gunner. The official launch will also introduce into the game the dangerous Hell Dungeons, where players can gain access to highly coveted Epic Items. 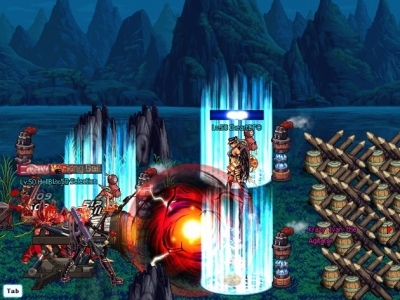 To help prepare the game for official launch, Nexon has set up a Dungeon Fighter Online Public Test Server, which will allow select Beta players the opportunity to preview the new content before its release offer their feedback. This allows Nexon America to fine tune everything before the launch date.